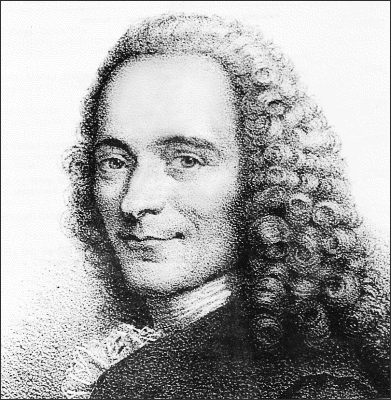 Fiat money, or paper money, has demonstrated this notion in Voltaire's quote throughout history. Even in the Roman Empire, the emperor Diocletian debased the Gold money supply, yet it was not "paper money". The results were devastating, as discussed in this article," Comparison: The Rise and Fall of the Roman Empire and the United States." There are two more historical examples of how paper money has created chaos and conflict. The first example, is the use of paper currency in late 18th Century France, as Frank Hollenbeck discusses in his article, "Revolutionary France’s Road to Hyperinflation". The second example of how inflation created chaos was during Germany during the late 19th and through the early 20th century. Dr.Thorsten Polleit provides an analysis of this monetary activity in his article, "90 Years Ago: The End of German Hyperinflation"
In all of these instances, what happened to the poor and middle class? While prices increased, wages did not. In short, the poor and middle class paid the cost of the State printing more paper currency. The state would increase the money supply to support its egregious spending efforts for war or other mercantilism style endeavors. Rising Costs of Health Care: What is the Cause? "The U.S. “health care cost crisis” didn’t start until 1965. The government increased demand with the passage of Medicare and Medicaid while restricting the supply of doctors and hospitals. Health care prices responded at twice the rate of inflation (Figure 1). Now, the U.S. is repeating the same mistakes with the unveiling of Obamacare (a.k.a. “Medicare and Medicaid for the middle class”)." Can Government fix "Market Failures"? In a series of videos, Dr. Mark Pennington explains on how Government is not able to correct "market failures" better than allowing the "market" to "correct" itself. There are three videos, watch all three and listen closely to his logical argument on why this is true. He explores the Economic sub discipline known as "Public Choice" to demonstrate why Government is not efficient in correcting "Market Failure"
Speculative Bubbles are as old as the hills. Yet, many are oblivious to the fact they exist, as these individuals assume things will always go up in price. The Law of Diminishing returns and 2nd Law of Thermodynamics are real, and eventually the house of cards will crumble. Mr. Reginald Lewis orchestrated some of the largest deals in history during the 1980s. His book, "Why Should White Guys Have All the Fun", explores his life and his success as a Wall Street financier. This video is a tribute to him as he died way too soon. RIP Mr. Lewis. Mr. Robert Kiyosaki, author of the best selling book, "Rich Dad/Poor Dad", discusses one of the secrets to building wealth: Cash Flow. He also breaks down the difference between an Asset vs Liability. 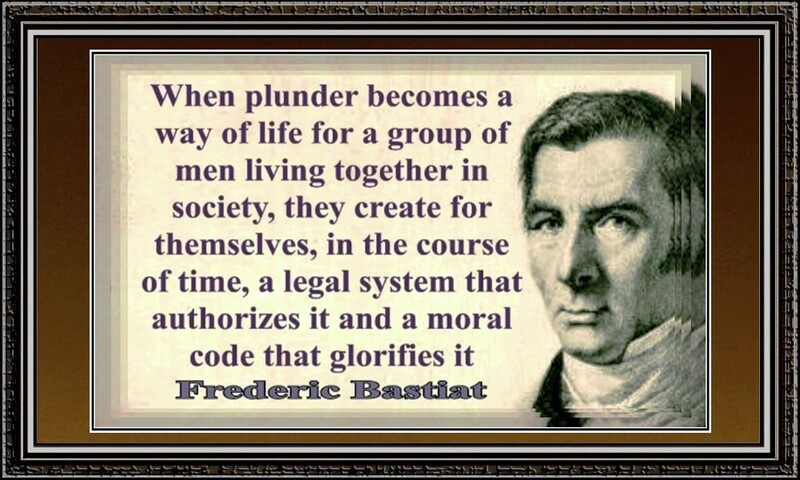 The Broken Window Fallacy was originally presented by Frederic Bastiat. 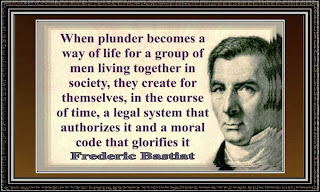 Bastiat was a famous French essayist, economist, thinker and a champion for freedom back in the 1800s. Many have believed that simply violating personal property, yields to greater economic growth. As this video displays, it does not. In fact, it hurts society and individuals ability to accumulate capital to help fuel economic growth. Will Raising Taxes help Reduce the US Federal Deficit? A detailed explanation on if the notion of raising taxes will help the US Federal Deficit. Dr. Davies breaks down the problem, providing some graphical support to his point. An excellent video. Public Housing: Does it help or hurt the Poor? Dr. Milton Friedman discusses the outcomes with public housing. Does it help or hurt the Poor? This video reveals the answer. Printing More Money: Will that create more Wealth? Will printing more money solve an economic crisis? If so, why not just print more money? This video explores why this will not work and reveals the side effects of this action. The Truth About Minimum Wage Revealed! This video reveals the flaws of minimum wage laws. We are told that min wage laws help the poor, but does it? This video debunks this notion. James M. Buchanan and Kenneth Arrow are two highly distinguished scholars that have done extensive work in the field of Economics called Public Choice. It explores how economics not only plays a role in the private sector, but also in the Governmental sector as well. It reveals the notion of "Politics without Romance". In this video, it touches the tip of the iceberg in how the Federal Budget will not get Balanced, revealing the incentives of the Special interest groups. Kudos go to Ben Powell, Phd for this video. How Large is the United States Debt? Antony Davies, Phd explains in this video the amount of United States' debt, as he compares the total debt to other countries' Economic output. "I dont give a good Goddamn what Milton Friedman thinks. He is not running for re-election"~President Nixon. "Since 1971, the number and intensity of banking crises around the world has gone up markedly, according to Carmen Reinhart and Kenneth Rogoff, hardly anti-establishment economists. Debt levels exploded. The ten years up to the start of this crisis in July 2007 have seen house prices in the US rise ten times faster than over the previous one hundred years." Deflation is it really so Bad? "Inflation is much worse than deflation because it robs wage earners and the poor. Central banks are the primary cause of inflation and are the main reason for the growth of income inequalities, as the rich get richer and the middle class sinks toward poverty. This income trend has been self-evident and growing since the demise of the Bretton Woods system in 1971 and its replacement with fiat currencies. Central bank power depends on the ability to generate inflation." 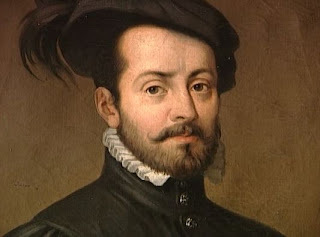 Hernan Cortez was a Spanish Conquistador faced with a serious problem. He was on a quest for gold and was heading to Mexico with visions of riches, power and glory. Here was the problem: There was dissension in the ranks of his 500+ soldiers. The soldiers became mentally lethargic and un-motivated. These are classic symptoms of fear. And, to make matters much worse, they were on a destination course to face one of the toughest feats at that time: The Aztec Warrior Tribe. Oh, the Aztecs outnumbered Cortez and his men. Upon arrival to the coast of Mexico, Cortez and his men were headed to the heart of the Aztec capital, Tenochtitlan. Cortez made a decision: He ordered the hulls in all the ships' to be bored and allowed to sink. Well, all the ships sunk except one. He proposed a challenge to the grumbling soldiers. He stated that they had a choice: They could either move forward to fight the Aztecs and conquer Mexico--they would become wealthy beyond imagination, or the ones who were cowards could take the remaining ship and return home. Surprisingly, the soldiers chose to fight and stand with Cortez. Something amazing happened: The Soldiers were unified and fought the Aztecs, and within 2 years, Cortez conquered Tenochtitlan and defeated the Aztec army. These men were unified, fought intrepidly and they also were highly crafty utilizing Indian allies to conquer the Aztecs. What happened to the remaining ship? No one accepted that offer. Who wants to be a coward? Moral to the story: Life requires tough choices and decisions. Consider the Latin root of the word, "decision": "Cis". This means to "cut". Making a decision requires cutting off the status quo or leaving your comfort zone. Doing this forces the human mind to focus on achieving that objective, just like Cortez and his men. If you have the desire, faith, plan, cunning and zeal to win, you will be legendary. "There are no limitations to the mind except those we acknowledge. Both Poverty and Riches are the offspring of thought." ~Napoleon Hill "Think and Grow Rich"
Is there a Rental Supply Glut? A side of the “flood of investors sucking up all the supply” story that nobody is talking about…weakening rental demand. Phoenix cap rates projected to be between 1.75% and 4% at present (unless you do all the maintenance yourself). With caps this low, one may as well buy INTC or lever up 10 year notes at 1.9% and take far less risk than buying the tail end of a Twist-induced housing market short squeeze on the verge of a ‘consolidation’. Weak national rental demand — relative to the flood of rental single family and multi-unit supply coming on line – is a potential 2013 US housing market theme that will take it’s toll on landlords, REITs, institution investors, house prices, price/rent ratios, relative affordability, loan default & mod redefault rates (as the millions on the default fence or in high leverage mods decide it’s better to de-lever and rent), and ultimately the full blown housing recovery thesis now fully factored into every macro economic and investment models out a decade into the future. Do you remember looking at ‘opportunity fund’ capital raising slide decks a couple of years ago? A central thesis to the ‘buy and rent’ trade was not only historic low rates forever but millions upon millions more foreclosures for the next several years and all of those former homeowners needing a place to rent. On the rates side, they nailed it. But on the rental demand side, the exact opposite happened. As every insti and private investor – domestic and foreign – was buying up all low-end and distressed house in the country the banks and government made 8 million loan mods and workouts turning homeowners into renters of their own home. And they made it virtually illegal to foreclose too boot. As foreclosures hit a pre-crisis low in 2012 rental demand has been by and large dictated by good ol macro economic factors such as jobs, income, tax rates, energy costs etc, none of which are screaming in the direction of more demand and higher rents. So, in short the “buy and rent” trade has turned into one in which you have to fight the government for the demand, which is something nobody factored into the ‘investment’. On the contrary, most have stable and linear 3% to 4% annualized rent increase factored in. If rents drop 15% in the first half of 2013 (from the back half of 2012), which is a number I simply picked from my model range of -5% to -25%, everything changes literally overnight. The present lack of ‘for sale’ supply could easily turn into supply wave quickly reversing the past years’ upward house price trajectory. Some will say, ‘that’s great, the market is starved for supply’. Yes, it’s starved for specific lower-end and/or distressed ‘investor’ supply. It’s extremely questionable that if a wave of rehabbed former investor rentals were to hit the market as resales whether first-timer and repeat organic (or investor) demand would be there in kind. Some will then think of all the stories you read daily of ’40 offers on every house and organic buyers not being able to buy’. This is happening. But from most all the Realtors I talk to, it’s the same 37 investors bidding cash pushing out the 3 organic bidders that need loans in order to buy. So bottom line, a wave of rehabbed resales from panicked investors shuttering supply could quite possibly be met with meager first-timer and organic demand. In media and sell side housing market reports that refer to the investor landlord/renter nation ‘movement’ everybody takes for granted ‘if they buy it, it will automatically rent at market rates’. In fact, most never even talk about the rental demand side of the equation because they assume it’s a ‘given’. But that’s not the case, at least in Phoenix. There is so much rental supply on the market — and coming on line — that landlords are in full blown price cutting wars. Moreover, aggressive landlords have loosened rental guidelines to accept virtually anybody with a cashiers check and heartbeat. Bottom line: A flood of institutional and private investor landlord buyers have shredded the inventory in Phoenix, Las Vegas, CA and several other of the more legacy distressed regions around the nation. For quite some time there have been bidding wars with investors paying 10% to 20% over “appraised value” looking at cash-flow yield as the primary metric and real ‘value’ way down the list of factors. But the story has taken a major left turn at least in Phoenix, which is the first market I am studying closely. In short, as rental supply reaches record highs, rental demand is falling pervasively. This, while Phoenix house sales demand have been negative on a YoY basis for several months now with January down double-digits. “Help! Legacy loan defaults and Modification redefaults in AZ have suddenly started rising again. Perhaps this has something to do with the plethora of rehabbed single family houses available for rent in the region. I guess we have to start ratcheting up loan loss reserves this quarter”. I think there is a strong chance that we could all of a sudden see for-sale inventory levels rising sharply and prices dropping in the ultimate whip-saw event this spring/summer that ‘nobody saw coming’. Throughout history investor and first-time buyer demand has been known to ‘vanish’ literally overnight. Legacy distressed markets markets like Phoenix all around the country have been supported by these cohorts for years. And with over TWO-THIRDS OF all mortgage’d households in Phoenix unable to sell and rebuy (due to epidemic negative and effective negative equity, credit, or income problems) the repeat buyer cohort will not be able to catch this market as it drops. I have some friends in the Phoenix “skirts”, Chandler, AZ to be exact. Chandler AZ (like Gilbert and Mesa) is a burb of Phoenix known for overbuilding, foreclosures, a ton of single family houses etc. But it’s also known for it’s family bias, decent schools etc. Areas like this are where investors have swarmed to buy and rent single family houses. Reports typically generalize the Phoenix outskirts as “Phoenix”. My friends recently had a third kid and needed a new house so went out looking last summer. They are significantly underwater in their present house but their Realtor promised them it would be no problem to rent out their house after they bought the new one. So, they went housing shopping beginning in July. Every house they liked there were multiple offers, most all from investors. They couldn’t get an offer even looked at for months because they were not a cash buyer…they had a contingency that the purchase price and appraised value had to jive… they could not pay 15% over appraised value like Blackrock does…they are NOT paying with other people’s money…you get my point here. Finally, they found a “HUD” foreclosure (HUD resales generally have “no investor” provisions), were first to bid, and got the house. They moved in a few weeks ago. After they spent a bunch of money fixing up their old house they put it up for rent hoping to get someone in quickly because they technically can’t afford the new house without the rental income. The day they listed their old house for rent they considered their “move” complete. Little did they know the stress was just beginning. To set the stage properly their old house is “worth” about $120k. They initially put it up for rent at $1100/mo. After expenses and at a 90% occupancy rate this would equate to about a 5% cap rate. Not great, but not a killer. This is of course if they got $1100 a month. But they didn’t…not even close. The first week the rental ad ran no calls came. So, they lowered their rental price by 10% the second week. Still, no calls. They lowered their price by 15% the third week and a couple of calls came but it was from people wanting to “make an offer”. This weekend they lowered the price by 20% — to $875 — and they got 2 calls. While $875 still works for them they are beginning to panic. Last week they talked to their Realtor extremely concerned about the lack of rental demand. He replied “the market has changed dramatically in the past 6 months. There is a flood of rental supply and not enough renters so there is a price cutting war by landlords just to get people in”. If they end up getting $800/mo that’s about a 2-cap. Note, a 5-cap is a rate of return far too low for most insti investors, a 2-cap is a non-starter for all but the investors who have to deploy capital (typically other people’s capital) in order to get a paycheck. Anyway, my friend’s house is in the rental sweet spot, which makes this story even more pertinent to the rental investor community. That’s because as you go higher in house price/value rents don’t keep up, so cap rates fall. Like everything else in the housing sector since even before the crash happened…a key piece of the story is being left out of all the sell side research and financial press “housing recovery” stories. In the case of Phoenix — and most likely most other heavily distressed regions turned ‘investor havens’ throughout the nation — it looks like the missing piece of the story is the lackluster demand for the mega-supply and nowhere remotely close to the rental returns investors had hoped for unless you bought the right property in a relatively small window that slammed shut in early 2012. Another consequence of the surge in rental supply and drop in rental rates should be a rise in loan defaults and mod redefaults. In Phoenix for example over 60% of the mortgage’d population is underwater or effectively underwater, many living with high LTV and DTI mods. Many of these Zombie homeowners simply find it easier to pay their 2% to the bank or for a HAMP mod than to finally de-lever through foreclosure or short sale and move their families, change schools etc. However, if all of a sudden houses similar to theirs are popping up in the neighborhood for lease without the expense of taxes, insurance, and maintenance it will absolutely push borrowers on the default fence or struggling every month with high DTI mods out of their houses into rentals. I have believed for a long time that the activity in Phoenix — and regions with similar ‘investor activity around the nation — was a short squeeze…a trade…nothing “durable”…on the back of Twist and 1.5% 10s. This due to a variety of fundamental factors least of which is that over 60% of all mortgage’d homeowners in the region are underwater ‘Zombies’ (not enough equity to sell and rebuy) and at least a third of those who aren’t Zombies don’t have the credit or income necessary to sell and rebuy; and the mortgage mod bubble further preventing the all-important repeat buyer cohort from selling and rebuying. I have also believed for a long time that the lack of foreclosures — and the mortgage mod/workout bubble — would ultimately be a killer for those hoping to rent houses to distressed borrowers. Of course, that’s because the banks and gov’t let all these potential borrowers rent their owns houses from them a 2% interest only for 5 years. And this is exactly how it’s playing out. I will be going to Phoenix shortly in order to meet with several brokers and new-era “landlords” but until then I wanted to get this theme out to you. Why does something have Value? Dr. Madsen Pirie, President of the Adam Smith institute, provides an excellent video on value. Where does value come from? Who gives something value? These questions and more are addressed in this short video clip. A 30% drop in your portfolio requires a 42.5% return on you principle just to break even. The talk about raising minimum wage higher is spawning more debate and discussion. An interesting take on Minimum Wage in an article titled, "Waging War against the Minimum Wage"
Government spending is out of control. 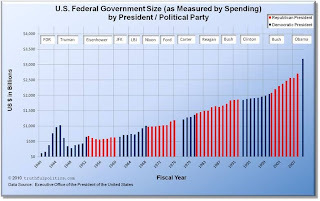 With the Federal deficit into the trillions, it would seem practical to cut back Government spending. Especially when the debt load for the United States Government is in the trillions of dollars. Note: the debt purchased is to "true up" the deficit. The interest payments must be paid back and just imagine the interest payment on trillions of dollars! 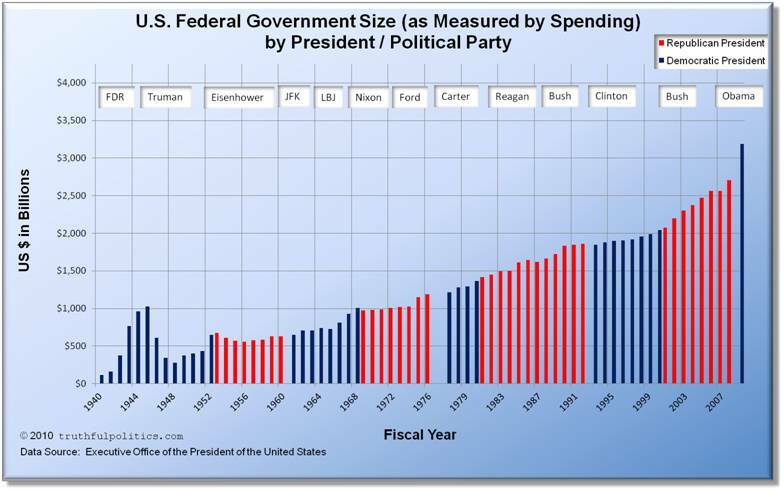 What is maddening is when prominent economists promote the spurious notion that the Government needs to spend more money, and this action is placing us into a deeper amount of debt. At what point is enough enough? Let us not forget the Federal Reserve. Since it can print out money upon demand, it makes the spending process very simple for the folks in DC. The Fed is purchasing more US Government debt has seen the Federal Reserve's balance sheet balloon in size since the financial meltdown of 2008. A growing balance sheet of the Federal Reserve with US Govt securities is not a great thing in the long run. Couple this process with increased Government spending, it is a recipe for economic disaster. This article titled, "Houston We have a Spending Problem", observes some of the thoughts of the media and economists regarding Government Spending. There are talks in Congress with regards to making some major changes to the qualified retirement accounts. Talks are of course just that, but there are discussions about the Government possibility of taking over these qualified accounts. This information may not be accurate, but what is the likelihood that this could happen? It may not happen, but with the Government's increasing debt load, expanding welfare state with Obamacare, Social Security's financial shortfall, Medicare deficits, and the like, these changes are on the table for consideration. Just food for thought as one reads this article by the American Thinker titled, "The Feds Want Your Retirement Accounts"
In the meantime, how does this play out if you are one placing money into these retirement accounts? What kind of control to you have over these accounts? Do you feel that this money is still your private property, or is it subject the Federal Government's control? Your task as a creative thinker is to actively explore the unconscious and contradictory parts of your personality, and to examine similar contradictions at the world at large. Expressing these tensions within your work in any medium will create a powerful effect on others, making them sense unconscious truths or feelings that have been obscured or repressed. You look at society at large and the various contradictions that are rampant-for instance, the way in which a culture that espouses the ideal of that tamps free expression down. In science, you look for ideas that go against the existing paradigm, or that seem inexplicable because they are so contradictory. All of these contradictions contain a rich mine of information about a reality that is deeper and more complex than the one immediately perceived By deviling into the chaotic and fluid zone below the level of consciousness where opposites met, you will be surprised at the exciting and fertile ideas that will come bubbling up to the surface. Proponents of minimum wage, Labor laws, and the like argue that these types of laws protect the downtrodden, poor, minorities and immigrants. However, history does not support this claim. In fact, it proves the opposite. For example, let's take the laborers from the Transcontinental Railroad in the late 1800s. The vast majority of these laborers were from China, as these industrious laborers were escaping the intense squalor, poverty and the harsh conditions of China. Many firms related to the railroad hired these laborers because they could accept lower than market wages, work longer hours, and they were very diligent in their work. They provided an excellent service, and both parties benefited: Labor and Management. From an economic standpoint, this seemed to be a good thing, but something happened. People were uncomfortable with these immigrants. Typically, the immigrants lived in communities that comprised other Chinese. Many other laborers and citizens did not understand the Chinese culture or the way of life, and began to become uncomfortable with the.increased influx of Chinese labor into the United States. 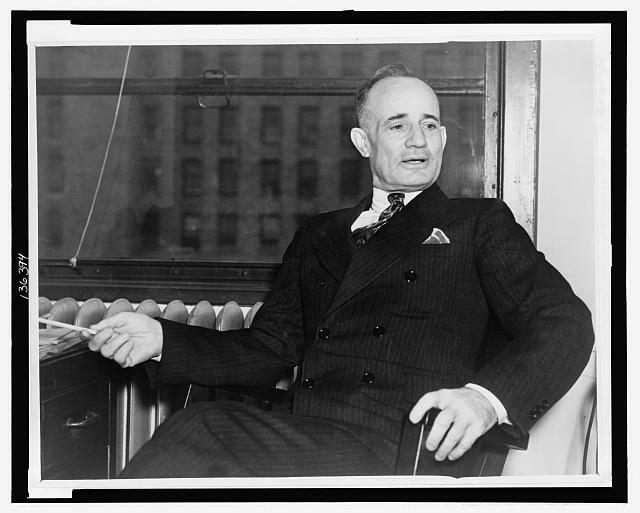 Subsequently, White Labor unions began to organize against this trend. They lobbied to push for anti-immigration legislation to stop the influx of Chinese Labor. 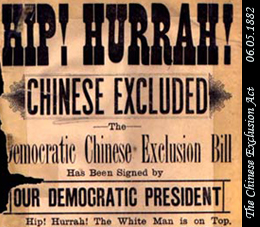 A successful campaign was done, and it manifested its self in the Chinese Exclusion Act of 1882. Subsequent acts were passed in 1892, 1902 and 1904 to restrict the in flux of other immigrant groups. The act was eventually reversed in the 1943. In short, the white labor organized against the Chinese to use the power of the Federal Government to legally push out Chinese Labor. The Chinese did not benefit from this legislation. Understand: They were leaving the harsh conditions of China to come to the United States to earn lower wages--lower wages that were below the market in the US, but much better than in China. They were seeking to improve their lives, not worsen their lives. Passing these laws, to wit, discriminated against the Chinese labor in favor of the White Labor. This is an example of how Government can be used to hurt the poor and downtrodden. Here is a video providing a brief summary of the Chinese Exclusion Act of 1882. Dr. Walter Williams explores how minimum wage law impacts blacks. In this brief video, he talks about how it was used as a racist tool against blacks by White Labor Unions. Yet, many blacks currently support this type of legislation without understanding its impact. Proposals are being forwarded for debate with the notion that minimum wage should be increased. Most first year economics students learn that there is a correlation: raising minimum wages increases the unemployment rate. Currently, unemployment rates are around 7.8%(U-3). Economic output is is paltry, yet we are to accept the concept of raising minimum wages? Next, how does this help poor kids and minorities? It actually prices them out of the job market as employers consider hiring folks with more skills at a higher wage of pay. Or they redirect those dollars into purchasing equipment that would yield a similar output of labor. What happens to the poor and minorities when this occurs? Dr. Thomas Sowell expands on the impact of raising minimum wages in this clip. The purpose of the ever expanding Government: To create a exponentially growing underclass of individuals that will comprise laggards, layabouts and the like. All of these individuals, or LITs(Lumpens in Training), will live in the muck and mire of squalor. In the meantime, the politicos that surreptitiously steal the wealth, will be projected as the saints of sanctimony. Of course, the LITs will be magnanimously grateful for the infinitesimal amounts of wealth given to them by their plunderous and nefarious over lords. Note: You people desire this outcome because you vote for it with your Jackass and Elephant political system, enjoy the results of your folly. Since the onset of the Financial Crisis, the Federal Reserve has opened up all the weapons in its cache to fight off the perils of this crisis. For example, they have lowered interest rates and increased purchases of Government securities just to name a few. Here is a key excerpt from the Federal Reserve's website named, "The Federal Reserve's response to the financial crisis and actions to foster maximum employment and price stability"
"The Federal Reserve responded aggressively to the financial crisis that emerged in the summer of 2007. The reduction in the target federal funds rate from 5-1/4 percent to effectively zero was an extraordinarily rapid easing in the stance of monetary policy. In addition, the Federal Reserve implemented a number of programs designed to support the liquidity of financial institutions and foster improved conditions in financial markets. These programs led to significant changes to the Federal Reserve's balance sheet. While many of the crisis-related programs have expired or been closed, the Federal Reserve continues to take actions to fulfill its statutory objectives for monetary policy: maximum employment and price stability. Over recent years, many of these actions have involved substantial purchases of longer-term securities aimed at putting downward pressure on longer-term interest rates and easing overall financial conditions." 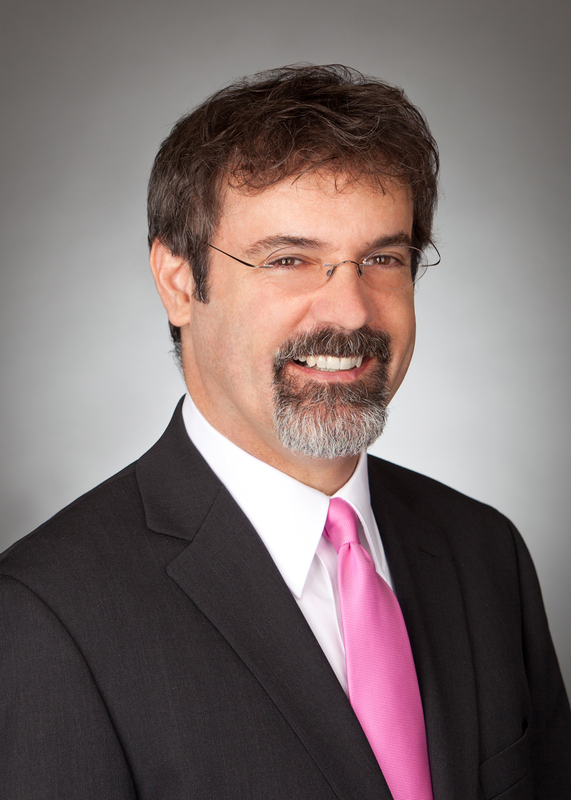 "As a third set of instruments, the Federal Reserve expanded its traditional tool of open market operations to support the functioning of credit markets, put downward pressure on longer-term interest rates, and help to make broader financial conditions more accommodative through the purchase of longer-term securities for the Federal Reserve's portfolio. For example, in November 2010, the FOMC decided to expand its holdings of longer-term securities and announced that it intended to purchase a further $600 billion of longer-term Treasury securities by the end of the second quarter of 2011. This expansion was completed as scheduled, on June 20, 2011. On September 21, 2011, the FOMC announced that it would extend the average maturity of its holdings of securities--by purchasing $400 billion par of Treasury securities with remaining maturities of 6 years to 30 years and selling an equal par amount of Treasury securities with remaining maturities of 3 years or less--by the end of June 2012. The FOMC also announced that it will reinvest principal payments from its holdings of agency debt and agency MBS in agency MBS. On June 20, 2012, the FOMC announced that it would continue its maturity extension program through the end of the 2012, resulting in the purchase, as well as the sale and redemption, of about $267 billion in Treasury securities." The Federal Reserve through its FOMC(Federal Open Market Committee) operations, will purchase Government Securities and MBS(Mortgage Backed Securities) This action expands the money supply, attempting to increase aggregate demand. All of this sounds great and technical, but are some concerns? "I see an increased risk, given the course the committee has set, that inflation pressures emerge and are not thwarted in a timely way," Mr. Lacker said in remarks prepared for a Maryland Bankers Association forum. "I intend to remain alert for signs that our monetary policy stance needs adjustment." "I see material upside risks to inflation in 2014 and beyond, given the current trajectory for monetary policy,"
Mr. Lacker's concern is a fair concern. As the Federal Reserve is attempting to fulfill its unemployment mandate, by reducing interest rates and pumping more money into the banking system, it runs the increased risk of inflation. Currently, the CPI does not indicate this concern, but please be mindful that CPI does not include all goods and services, and the economy still is in a market correction. However, the prices of commodities maybe a solid indicator of concerns of currency devaluation, or impending hyperinflation. If unemployment continues to decline, will the Fed stop building up the balance sheet with Government Securities purchases? Another concern: What happens when the Federal Reserve attempts to unload these Government Securities and MBS from their balance sheet? What sort of market signals will be projected based on this action? Sage advice from Mr. Zig Ziglar. Key excerpt: "Anything worth doing is worth doing poorly until you can learn to do it well." Listen and watch this video. Make it a great day! According to the marvelous thinkers in DC, we(all the citizens) all should constrain our pockets so the Congress can expand their spending. It makes total sense, if you are the Mad Hatter from "Alice in Wonderland". This article from Reason Magazine, "New Year New Taxes to Pay for ObamaCare" discuss the taxes imposed for Obamacare, and other taxes as it relates to the fiscal cliff and other marvelous Government "solutions". Eureka! The Fiscal Cliff has been avoided! CNN provides the details here with the article, "House approves Fiscal Cliff Deal". Time to pop open the bubbly and being to partake in the victory drink! A victory drink laced with a mind numbing combination of fiscal lunacy and rational ignorance in matters of economics and finance. If you think this statement is an endorsement of either "party", first of all, that would be an incorrect assessment Why? Just please allow me to submit a famous story. A story from one of Aesop's fables, "The Scorpion and the Frog". says, "Because if I do, I will die too." but has just enough time to gasp "Why?" Replies the scorpion: "It is my nature..."
How is this story related to the fiscal cliff? Why should one ponder on a story that seems non sequitur in nature? The story displays that regardless of how one presents themselves in public, their true nature will eventually rise up. 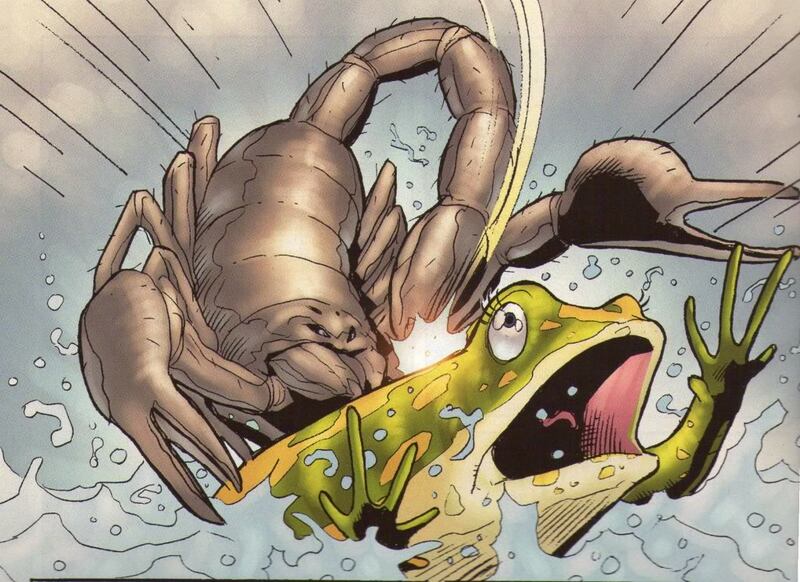 The frog believed the scorpion's words, and assumed he would not sting him on their voyage across the stream. Alas, the frog was stung, paralysis ensued, sealing his fate. Politicians are no different, as their motivations are fueled by the following: Re-Election and Power. Oh, and I did not forget this one: Money. Do not think for one second that one party is for fiscal responsibility and the other one is more caring for the downtrodden. Or, another party is for the "Constitution". This is the same mistake the frog made. Adam Smith stated that humans make decisions in their rational self interest. Politicians are humans, it is safe to assume they operate similarly. My advice: Deal in reality. Do not subscribe to the quixotic notion that politicians are sacrificing for your self interest. They are working in their self interest. Next, increase your financial knowledge. Do not place your financial plans based on the fickle whims of the electorate and the folks in Washington DC. Build your solid financial plans. Otherwise, you will suffer the same fate as the frog: Fiscal paralysis.